When I joined LinkedIn during my job search, I did not yet have a large network of first-degree or second-degree contacts within my chosen industry and found it very challenging to reach any potential career stakeholders. 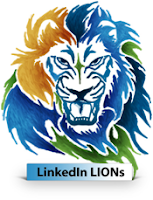 I turned to open networking as sort of an experiment to see how it would serve me in my job search efforts by joining a couple LinkedIn groups for LIONs (a.k.a. LinkedIn Open Networkers). As I gained more first-degree contacts, I gained more messaging access to them and their connections. As a result, I was able to set up a number of informational interviews, one of which led to an official interview and later the job offer for my current employment. Therefore, I am very much a supporter of open networking; however, I realize that like all things, there are two sides which I believe should both be heard and considered. To get the discussion going, I have reached out to several thought leaders to share their arguments for and against open networking. What are your thoughts? Are you for or against open networking? Why? Has it hurt you or helped you? Chris Perry, MBA is a Gen Y brand and marketing "generator," a career search and personal branding expert and the founder of Career Rocketeer and Launchpad.